Needs for classification should be discussed. Definition and explanation of the terms taxonomy and phylogeny should be given for a clear understanding. There is a great diversity among living organisms found on the planet earth. They differ in their structure, habit, habitat, mode of nutrition, and physiology. The Biodiversity of the earth is enormous. Current estimates suggest that the earth may have anywhere from 10 to over 40 million species of organisms, but only about 1.7 million have actually been described including over 7,50,000 insects, about 2,50,000 flowering plants and 47,000 vertebrate animals. We call such a diversity among living organisms as Biodiversity. Even though there is such a variety and diversity among them, the living organisms show a lot of similarities and common features so that they can be arranged into many groups. In order to understand them and study them systematically, these living organisms, mainly the plants and animals are grouped under different categories. Biological classification is the process by which living organisms are grouped into easily identifiable groups or categories based on some observable characters. ARTIFICIAL CLASSIFICATION : The artificial scheme of classification was based on superficial similarities. a) Theophrastus proposed the first system of artificial classification of plants on the basis of habit. b) Pliny and Elder (23-79 A.D.) classified animals on the basis of habits, e.g., land, air and water. On the basis of flying ability, animals were divided into two categories: (a) animals which can fly (b) animals which cannot fly. But it could not differentiate birds, insects or bats. Similarly, on the basis of habit, plants were classified into herbs, shrubs and trees. NATURAL CLASSIFICATION : Natural system of classification is based on natural affinities among the organisms. It includes not only the external, but also internal features like ultrastructure, anatomy, morphology and cvtochemistry. PHYLOGENETIC CLASSIFICATION : The evolutionary history of a particular species is called phylogeny. Classification of organisms based on the basis of evolution is called evolutionary or phylogenetic classification. Makes study of organism very convenient. Shows relationship among various groups. Helps in interpreting the fossil records. Taxonomy is the branch of biology that deals with identification and nomenclature (naming) of living organisms and their classification on the basis of their similarities and differences. It was the Swiss-French botanist A P de Candolle (1778-1841) who coined the word Taxonomy, the science of naming and classifying of organisms. Systematics is the branch of Biology that deals with the diversity of organisms and their comparative and evolutionary relationships based on comparative anatomy, comparative biochemistry, comparative physiology and comparative ecology. Generally, the terms taxonomy, systematics and classification are used interchangeably, but they carry different meanings. According to Simpson, these three have separate fields of study and should not be confused with each other. The evolutionary history of a particular species is called phylogeny. Classification of organisms based on their phylogenetic relationship or on the basis of evolution is called evolutionary or phylogenetic classification. Even according to Linnaeus the species were fixed entities. Lamarck (1744—1829) introduced the concept that species gradually change and give rise to new species. Carolus von Linnaeus created a hierarchical classification system using seven taxonomic categories. These categories are based on shared physical characteristics, or phenotypes, within each group. Beginning with kingdom, each successive level of classification becomes more and more specific. Organisms within the same order have more in common with one another than organisms within the same class. For example, all species of bears are mammals, but not all mammals are bears. 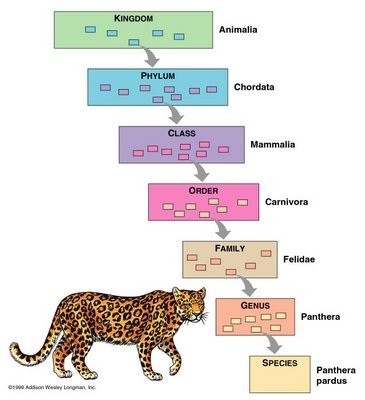 A useful pneumonic tool to help students remember the hierarchical classification system is: “King Phillip Came Over For Green Soup,” with the first letter of each word representing each category, beginning with kingdom and ending with species. Taxonomic studies consider a group of individual organisms with fundamental similarities as a species. One should be able to distinguish one species from the other closely related species based on the distinct morphological differences. Let us consider Mangifera indica, Solanum tuberosum (potato) and Panthera leo (lion). All the three names, indica, tuberosum and leo, represent the specific epithets, while the first words Mangifera, Solanum and Panthera are genera and represents another higher level of taxon or category. For example, Panthera has another specific epithet called tigris and Solanum includes species like nigrum and melongena. Human beings belong to the species sapiens which is grouped in genus Homo.The scientific name thus, for human being, is written as Homo sapiens. Genus comprises a group of related species which has more characters in common in comparison to species of other genera. We can say that genera are aggregates of closely related species. For example, potato, tomato and brinjal are three different species but all belong to the genus Solanum. Lion (Panthera leo), leopard (P. pardus) and tiger (P. tigris) with several common features, are all species of the genus Panthera. This genus differs from another genus Felis which includes cats. Family, has a group of related genera with still less number of similarities as compared to genus and species. Families are characterised on the basis of both vegetative and reproductive features of plant species. Among plants for example, three different genera Solanum, Petunia and Datura are placed in the family Solanaceae. Among animals for example, genus Panthera, comprising lion, tiger, leopard is put along with genus, Felis (cats) in the family Felidae. Similarly, if you observe the features of a cat and a dog, you will find some similarities and some differences as well. 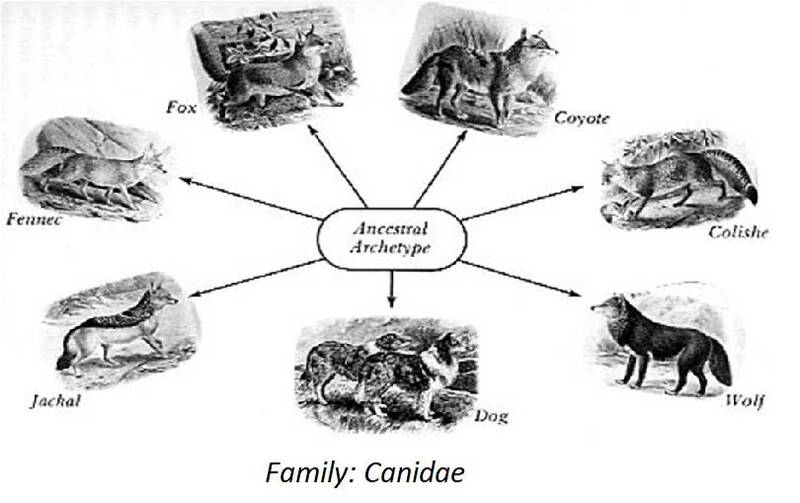 They are separated into two different families – Felidae and Canidae, respectively. You have seen earlier that categories like species, genus and families are based on a number of similar characters. Generally, order and other higher taxonomic categories are identified based on the aggregates of characters. Order being a higher category, is the assemblage of families which exhibit a few similar characters. The similar characters are less in number as compared to different genera included in a family. Plant families like Convolvulaceae, Solanaceae are included in the order Polymoniales mainly based on the floral characters. The animal order, Carnivora, includes families like Felidae and Cancidae. This category includes related orders. For example, order Primata comprising monkey, gorilla and gibbon is placed in class Mammalia along with order Carnivora that includes animals like tiger, cat and dog. Class Mammalia has other orders also. Classes comprising animals like fishes, amphibians, reptiles, birds along with mammals constitute the next higher category called Phylum. All these, based on the common features like presence of notochord and dorsal hollow neural system, are included in phylum Chordata. In case of plants, classes with a few similar characters are assigned to a higher category called Division. All animals belonging to various phyla are assigned to the highest category called Kingdom Animalia in the classification system of animals. The Kingdom Plantae, on the other hand, is distinct, and comprises all plants from various divisions. Henceforth, we will refer to these two groups as animal and plant kingdoms. Various taxonomic categories-like species, genus, family, order and class are abstract terms and represent a rank or level in taxonomic hierarchy. The term taxon is used to represent the actual biological objects included in a category. For example, tigers are real animals belonging to the species category Panthera tigris. All cat-like species of animals constitute the family taxon Felidae and all mammals in the class taxon Mammalia. In classification, the organisms that closely resemble one another are placed in a group, the groups having similarities are combined together into larger groups, and these into still larger ones. The various grouping levels or ranks in classification are known as categories. There are seven major categories: Kingdom, Phyla, Classes, Orders, Families, Genera and Species. Family: A plant family ends in a suffix... aceae and subfamily in ... oidea. An animal family has a suffix... idae, a subfamily... mae and superfamily has the suffix... oidea. Order: In plants the order ends in a suffix... ales. Different suffixes are used in animals, e.g., Lagomorpha, Artiodactyla, Primata, Carvivora (alt classes of Mammalia). Class: In plants the suffix used for class is.. phyceae, ... opisda or... ae. The suffix is not fixed in case of animals, e.g., Amphibia, Ayes, Mammalia, Cyclostomata. There is no fixed suffix for animals, e.g., Porifera, Annelida, Cnidaria. Genus : occupies a special position in the classification because species cannot be named without assigning the genus. The genus may or may not have more than one species. Genera with only one species are called monotypic while those with more than two are polytypic. Two types of names have been given to organisms. These are common and scientific. Common or vernacular names are given to organisms in a particular language and region of the world. a) Easy to learn, speak and write. b) These are short and simple. c) These are familiar to the people since their childhood. a) Multiplicity: Common names of the same group of animals or plants vary in different countries and also in different languages. Argemone mexicana is named as Peela dhatura, Satyanasi or Bharband, etc. Bird ‘gauraiya’ in India is known by the name House sparrow in England, Pradal in Spain, Musch in Holland and Seizune in Japan. b) Ambiguity: A single name is often used for two or more animals or plants. Dhodak is common name of many plants that possess milky latex, e.g., Euphorbia, Sonchus, Launaea, etc. Titlee includes butterflies and moth. ‘Chirri’ is used for many small birds. e.g., Cuttlefish, Jellyfish, Silverfish and Starfish. These names seem to indicate that all of them are fishes. But a fish is a vertebrate with backbone, gills and fins and all these are invertebrates. Silverfish is an insect, Cuttlefish is a mollusc, Jellyfish is a coelenterate and Starfish an echinoderm. In 1753, Carolus Linnaeus proposed the Binomial System of Nomenclature for giving the scientific names of plants and animals. He is called the father of taxonomy. According to this system, each organism, whether plant or animal, bears two names: the first is generic name and second is the specific epithet. 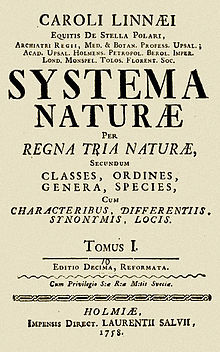 He explained this system in his famous book, Systema Naturae, published in 1758. This system of providing a name with two components is called Binomial Nomenclature. For example, the scientific name of modern man is Homo sapiens sapiens, where Homo is the generic name and sapiens is the species name. Second sapiens denotes the name of subspecies. Similarly, the scientific name of onion is Allium cepa, of mango is Mangifera indica, that of domestic cat is Felis domesticus and of honeybee is Apis mellifera. The organisms are given scientific name on the basis of universal rules, framed and standardised by International Code of Botanical Nomenclature (ICBN) and International Code of Zoological Nomenclature (ICZN). These help in avoiding error, duplication, confusion and ambiguity in scientific names. The names of bacteria and viruses are decided by International Code of Bacterial Nomenclature (ICBacN). Similarly, there is a separate International Code of Nomenclature of Cultivated Plants (ICNCP). The scientific name of each animal or plant has a generic name followed by the name of species (binomial nomenclature). Species having a subspecies, varieties or races are given trinomial name. The generic name begins with a capital letter and species name with a small letter. Both the generic and the species name should be written in italics. The taxonomist’s name who first assigned the species name is added at the end. For example, Homo sapiens Linnaeus (or L) is scientific name for modern human species. In this case Linnaeus was the first scientist who named human beings as Homo sapiens. To avoid confusion, no two generic names in any kingdom can be the same. Scientific names are usually taken from Latin language. When words in a language other than Greek or Latin are used, they are Latinised with suitable endings. For example, Banyan is Ficus benghalensis. Here benghalensis means from Bengal, where banyan tree is commonly found. Generic and common names can be same as Gorilla is the generic name of Gorifia, and Ape. Generic and species name can also be the same as Catla catla, a freshwater fish, and Eucalyptus is the generic name of the plant Eucalyptus. Scientific name of an organism is universal, i.e., it has the same name throughout the world. All known animals and plants irrespective of their utility have been provided with scientific names. This facilitates systematic study of plants and animals. Scientific name eliminates confusion of multiple naming of an organism in different regions. It indicated a relationship between different varieties of a species in a genus. The Dog, Wolf and Jackal have the same generic name, Canis. It implies that all these animals have certain common characters. It facilitates recognition or identification of a newly discovered organism. An incorrect or misleading name can be easily corrected. Scientific names are often descriptive, indicating certain important characteristics of the organisms. Carolus Linnaeus(1758) divided all the living organisms into two kingdoms. (a) Euglena is a unicellular organism that shares characters of both of animals and plants. Like animals it lacks cell wall, has power of contraction, a flagellum for locomotion, a mouth and contractile vacuole, reproduces by binary fission and has heterotrophic nutrition when kept in dark. On the other hand, like plants, it has chlorophyll and pyrenoids and carry on photosynthesis. (b) Chiamydomonas is a unicellular, motile organism with a definite shape and has a photosensitive organelle like animals, but it bears chlorophyll and is autotrophic like plants. (c) Slime Moulds are a group of Fungi. They lack cell wall, can creep and ingest food, but develop cell wall in the reproductive phase. They resemble animals at one stage and plants at another stage. (d) Sponges like plants are fixed, branched, irregular creatures which respond to stimuli very slowly. But, they have been kept with animals because they have holozoic nutrition and excrete nitrogenous wastes. 2. Lichens: These are dual organisms formed by an alga and a fungus. These are found encrusted on rocks or bark of trees and have no plant-like character. These have been classified as plants because of their fixed nature. 3. Bacteria and Blue-green Algae: Bacteria present a great taxonomic problem. Like plants they have a cell wall and some of them are able to photosynthesise their food. But, like animals they have flagella to move around and most of them are saprophytes. Furthermore, blue-green algae and bacteria have fundamentally different organisation. They lack nuclear envelope and cell organelles. Yet, they are prokaryotes but kept with plants which are eukaryotes. 4. Fungi: Unlike plants, fungi lack chlorophyll and are saprophytic in nutrition. Their body plan is also different from that of plants. Though, they need to be placed under a separate kingdom, but have been kept with plants. 5. Eukaryotes and Prokaryotes: The first formed organisms were neither plant-like nor animal-like. In due course, some of them evolved along plant and animal lines. Thus, the grouping of such diverse organisms into two kingdoms is unsatisfactory and unrealistic. It puts together eukaryotes with prokaryotes . It also brings together nonphotosynthetic fungi with photosynthetic green plants. 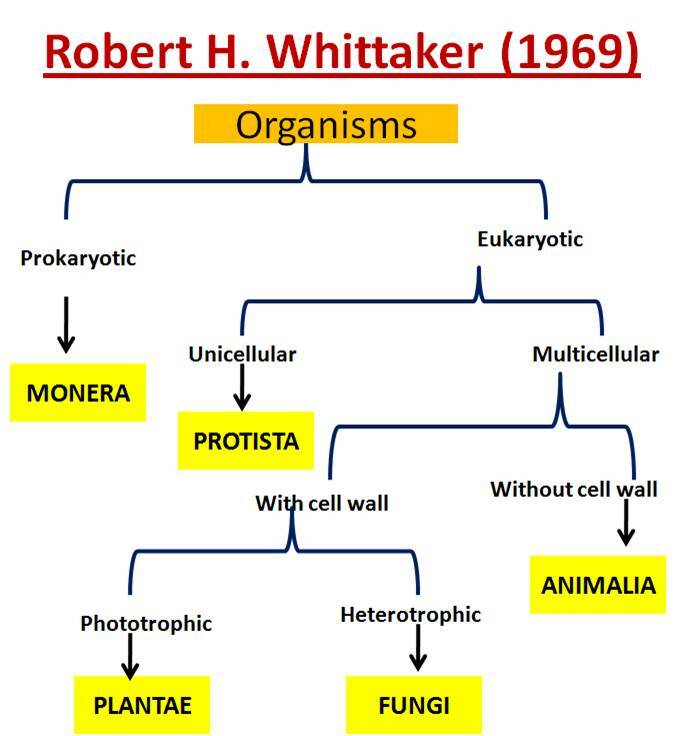 Robert H. Whittaker (1969), an American taxonomist, divided the living world into five kingdoms: Monera, Protista, Fungi, Plantae and Animalia. In the 18th Century, organisms were considered to belong to one of two kingdoms, Animalia or Plantae. As biologists gathered more information about the diverse forms of life on Earth, it became evident that the two-kingdom system did not accurately reflect relationships among different groups of organisms, and the number of kingdoms increased. 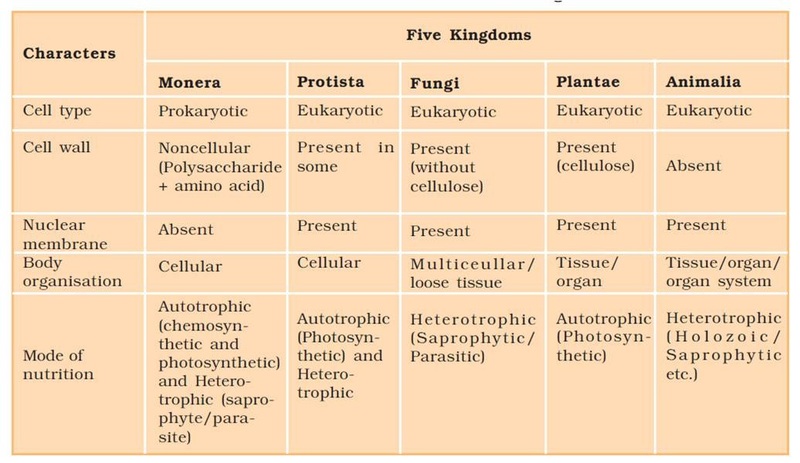 In 1969, Robert Whittaker proposed a five-kingdom system consisting of monerans, protists, fungi, plants and animals. In the last few years, comparative studies of nucleotide sequences of genes coding for ribosomal RNA and other proteins have allowed biologists to recognize important distinctions between bacteria and archaebacteria. As scientists learn more about organisms, classification systems change. Genetic sequencing has given researchers a whole new way of analyzing relationships between organisms. The current system, the Three Domain System, groups organisms primarily based on differences in ribosomal RNA structure. Under this system, organisms are classified into three domains and six kingdoms. The three domains are Archaea, Bacteria, and Eukarya. These are the most primitive forms. Their cell membrane is composed of branched hydrocarbon chains attached to glycerol. Their cell membrane has no peptidoglycans. Archaea are not influenced by antibiotics that destroy bacteria. Their rRNA is unique and much different from bacterial rRNA. Archaea live in extreme environment. Their cell membrane is composed of unbranched fatty acid chains attached to glycerol. Their cell wall is formed of peptidoglycans. Bacteria are sensitive to antibiotics. Naked DNA molecule lies in the cell cytoplasm. Bacterial rRNA is unique and distinctly different from rRNA of Archaea and Eukarya. Bacterial ribosomes are 70S type. Examples: Eubacteria include Mycoplasma, Cyanobacteria (blue-green algae), Gram positive bacteria and Gram negative bacteria. Cell membrane is composed of unbranched fatty acid chains attached to glycerol forming trilaminer protein-lipid-protein layer as in bacteria. Cell wall is absent in animal cells but present in plant cells. Peptidoglycans are not found. Eukarya are resistant to traditional antibiotics. Hereditary material is formed of nucleoprotein fibres composed of DNA + basic proteins, histones. Eukaryotic rRNA is unique to Eukarya. Eukarya ribosomes are 80S type. (a) Kingdom Protista: It includes slime molds, euglenoids, algae and protozoans. (b) Kingdom Fungi: It includes phycomycetes, zygomycetes, ascomycetes, basidiomycetes, deuteromycetes. (c) Kingdom Plantae: It includes bryophytes, pteridophytes, gymnosperms and angiosperms. 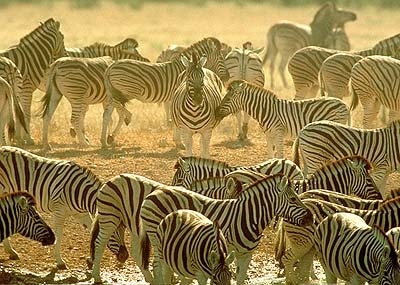 (d) Kingdom Anintalia: It includes all animals. Taxonomic studies of various species of plants, animals and other organisms are useful in agriculture, forestry, industry and in general in knowing our bio-resources and their diversity. These studies would require correct classification and identification of organisms. Identification of organisms requires intensive laboratory and field studies. The collection of actual specimens of plant and animal species is essential and is the prime source of taxonomic studies. These are also fundamental to studies and essential for training in systematics. It is used for classification of an organism, and the information gathered is also stored along with the specimens. In some cases the specimen is preserved for future studies. Biologists have established certain procedures and techniques to store and preserve the information as well as the specimens. Some of these are explained to help you understand the usage of these aids. 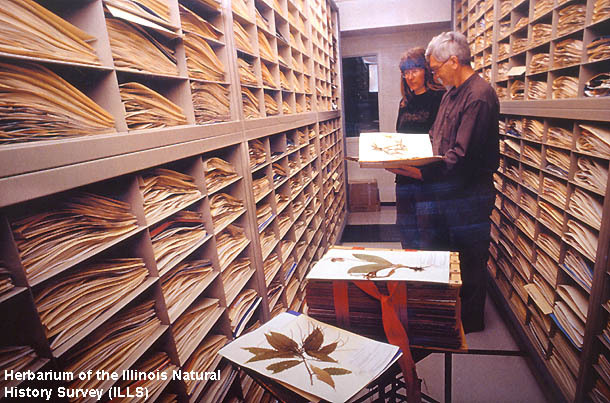 Herbarium is a store house of collected plant specimens that are dried, pressed and preserved on sheets. Further, these sheets are arranged according to a universally accepted system of classification. These specimens, along with their descriptions on herbarium sheets, become a store house or repository for future use. These specialised gardens have collections of living plants for reference. Plant species in these gardens are grown for identification purposes and each plant is labelled indicating its botanical/scientific name and its family. The famous botanical gardens are at Kew (England), Indian Botanical Garden, Howrah (India) and at National Botanical Research Institute, Lucknow (India). 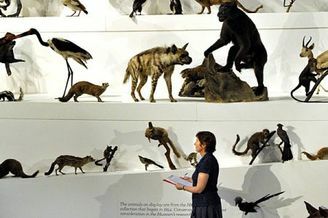 Biological museums are generally set up in educational institutes such as schools and colleges. Museums have collections of preserved plant and animal specimens for study and reference. Specimens are preserved in the containers or jars in preservative solutions. 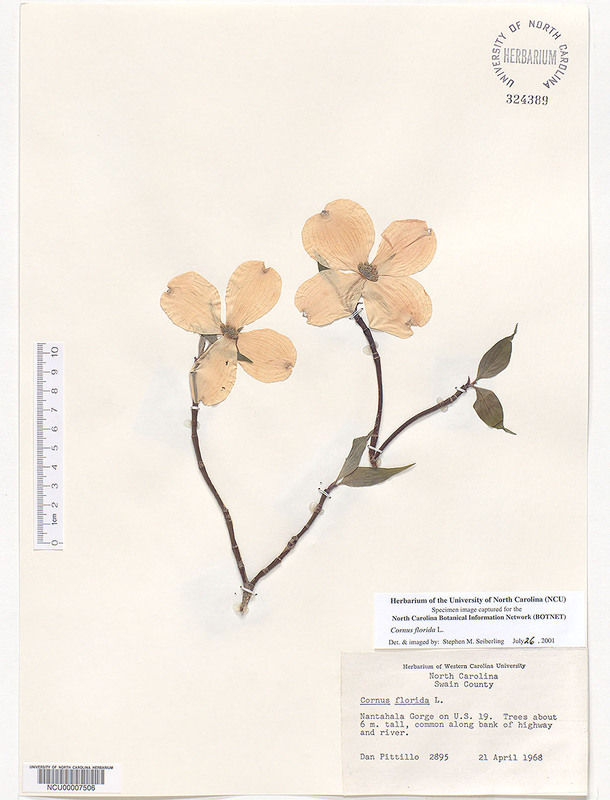 Plant and animal specimens may also be preserved as dry specimens. Larger animals like birds and mammals are usually stuffed and preserved. Museums often have collections of skeletons of animals too. These are the places where wild animals are kept in protected environments under human care and which enable us to learn about their food habits and behavior. All animals in a zoo are provided, as far as possible, the conditions similar to their natural habitats. Key is another taxonomical aid used for identification of plants and animals based on the similarities and dissimilarities. The keys are based on the contrasting characters generally in a pair called couplet. It represents the choice made between two opposite options. This results in acceptance of only one and rejection of the other. Each statement in the key is called a lead. Separate taxonomic keys are required for each taxonomic category such as family, genus and species for identification purposes.